A major tool a care manager has in her toolkit is care planning Care managers must identify why and by whom the request for services were initiated. Although the presenting problem is almost universally focused on the older adult, for a plan to succeed it must address the goals of the other parties involved. This is where you enter the “Whole Family approach”. 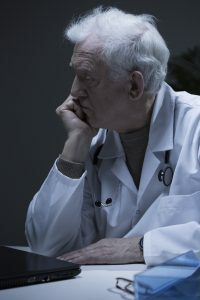 Often unstated, your care plan must address the underlying issues of family caregiver burn-out, guilt, anger, financial agendas and threats/challenges to the well-being of those involved. Without considerations to each individual’s stake in the plan, will fail . Care planning must include seeing the reasons that your care plan might fail. 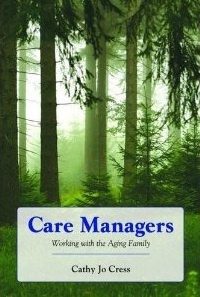 Setting the care plan up for failure involves what Bunny Dybnis and Steve Barlam identify in their chapter Tools to Support the Family Caregiver in the book Care managers Working With the Aging Family, show care manager 6 PITFALLS showing you your care plan will fail if you do not resolve this issue. The first is when the perceived needs are not aligned with the objective needs. In the video, you can see that client Mrs. Sterling needed much more care than she was willing to accept. Her daughter did all the care and Mrs. Sterling expected her to because she was the dutiful daughter” , as Mrs. Sterling had been to her own mother. A few hours of care were what Mrs. Sterling “perceived her needs to be. Her objective needs were perhaps 8-12 hours a day as she had a recent broken hip, had lost 10 pounds and had macular degeneration. If the care manager put a few hours in her care plan the care plan would fail; and Mrs. Sterling would be placed in a nursing, by her burnt out caregiver daughter Jane, who was also an attorney and had teenage daughters So the care manager had to answer the needs of both Mrs. Sterling and her daughter Jane for the care plan to work.